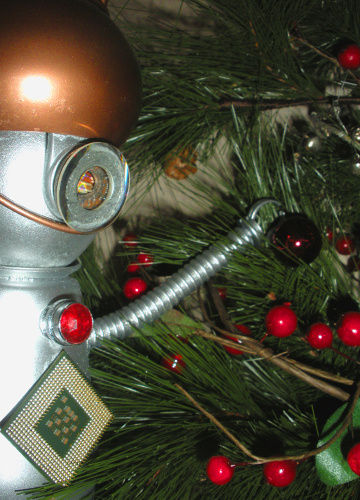 Merry Christmas from Robotki’s Recycled Robots! Robotki’s Recyled Robots just received an email from one of our biggest fans – Christina Williams. Christina adopted 8 robots at the festival and dropped us a line to let us know they are doing wonderful in their new surroundings. She says she absolutely loves them and they even helped her win second prize at her chrurch “Trunk ‘r’ Treat” on October 31st. Thank you Christina – and as usual… feel free to drop us a line at warchocki@yahoo.com or visit us right here at Robotki’s Recycled Robots for updates on where we’ll be next! Robotki were featured at the 13th Annual Oakland Heritage Festival on October 30, 2010. The annual festival is a family-oriented event with entertainment and activities for everyone. The event was a success as over 10 Robotki were adopted. Sadly, one robot (Eggbot) was destroyed when a gust of wind blew the unsuspecting automaton off the table. He was assimilated into another great robot however – Golden Spinner. Below is a gallery of the even and the robots’ new owners. Thank you for all who supported Robotki during the event. We’ll see you next year!!!! 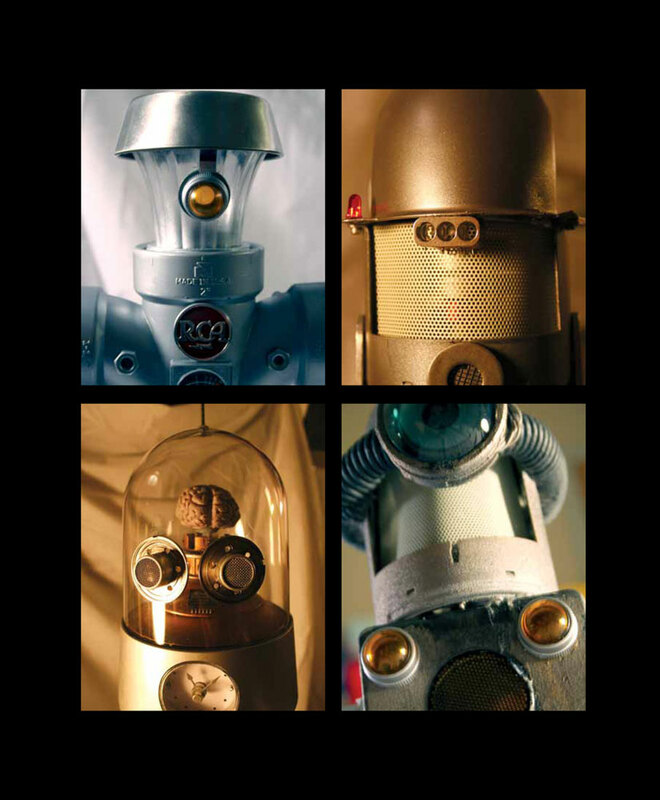 Robotki Robots featured in Artistik magazine!